Voila’s Vegetable Garden – Voila! Boy oh boy it’s been a long time. Since June 1 (the last time I posted): Max has gotten bigger, cuter and more adorable. He’s eating solids (loves carrots, not so keen on bananas), rolling over and has this squeal-of-happiness laugh that I adore; I turned 28 on July 17; and – here comes a dark cloud – my dad died from Multiple System Atrophy 9 days later. So 2014 has been quite a year. 2014 is a year about life. The beginning. The end. Being grateful for the life we’ve lived and the part of it we’ve spent together. 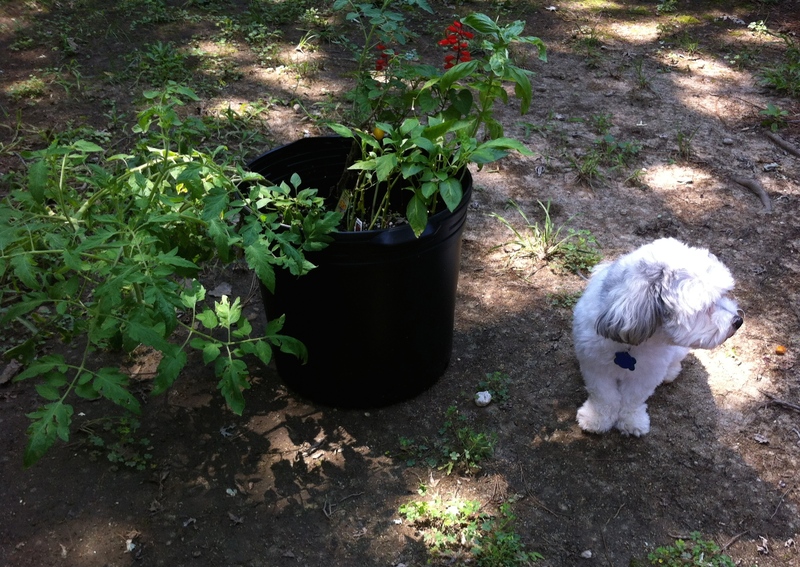 In the little garden are two types of tomatoes, two types of peppers and a flower. He also got tarragon, chives and sage. This garden represents that idea of life and growth. 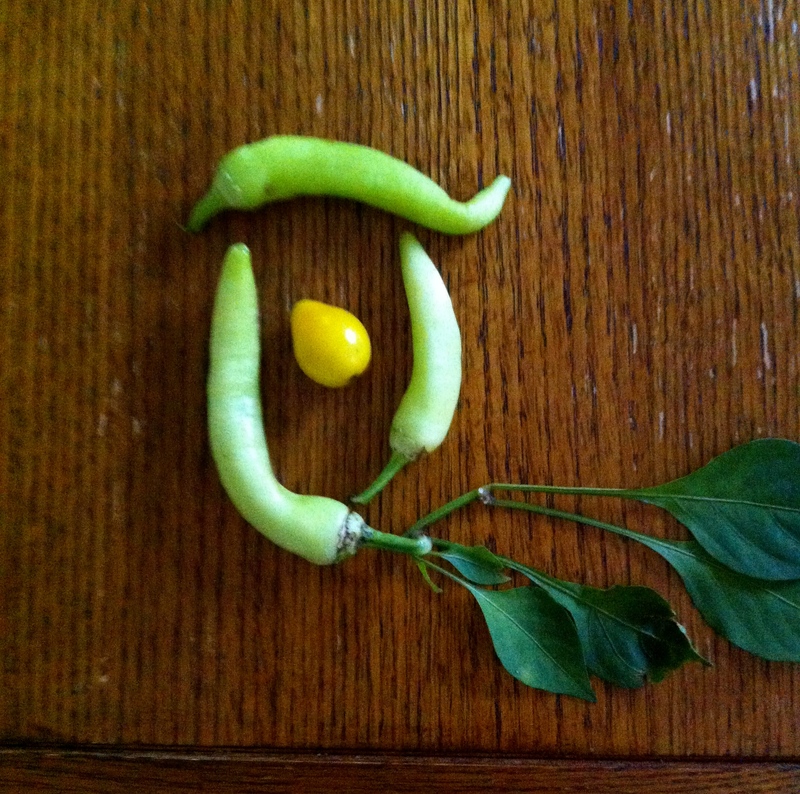 So to celebrate life I share with you our first sweet little harvest: three banana peppers and a yellow pear tomato! And for scale, here is the garden. It’s small and sweet but I love it. The tomato plant is growing all over the place. It probably should be propped up. But…too late. The little yellow tomato you can see peeking through the leaves (and pictured above) was delicious. As more veggies grow in I hope to make homemade salsa. Anyone have good recipes? And stay tuned here for more recipes used with my fresh garden herbs! How exciting! Roo– look at the camera!